I've set 90 day goals for all areas of my core4, which includes being able to do 3 strict pull-ups by the end of the 90 days. 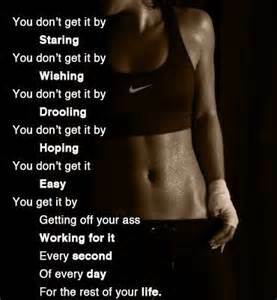 And just like any goal, regardless if it's fitness related or something else in your life, you don't get it by waiting for it to happen. You have to work for! You have to set your goal, make the plan to meet that goal, and then do the damn work; and that's why I'm determined to not give up!